Brown stewed Red Snapper with bammie, okra, potatoes, and carrots. Escovitch Lion Fish with tomatoes and cucumber. And on the side roasted breadfruit and festivals. 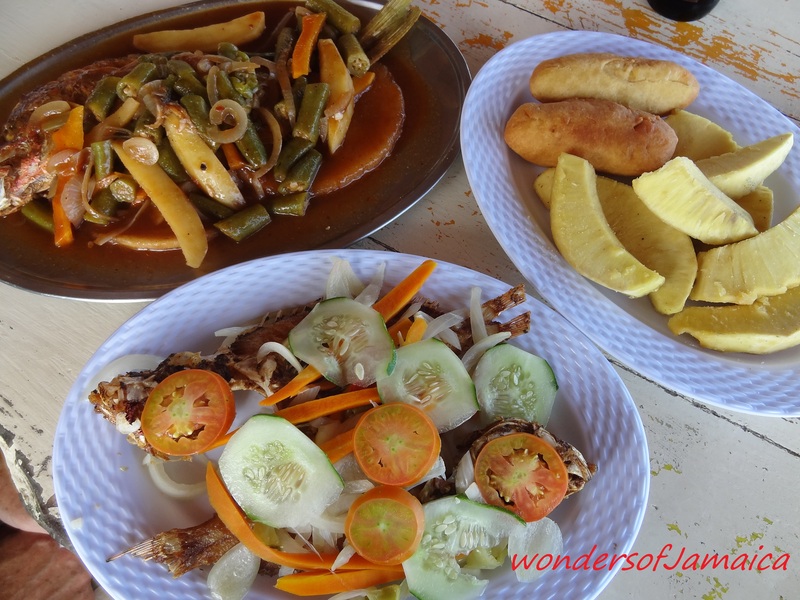 This entry was posted in Cuisines, Easter, Jamaica, Photos and tagged Easter, escovitch fish, Food, Jamaica, Lion Fish, photography, Red snapper, Travel and Tourism. Bookmark the permalink. Well come on down lol. Let’s meet. Yes! hopefully early next year.